Picking bawdy “Family Guy” creator Seth MacFarlane to host the Academy Awards marks bold attempt to inject some life back to Hollywood’s biggest night. 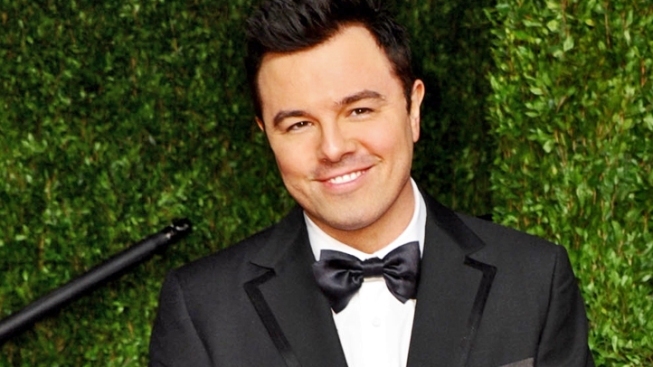 The tapping of “Family Guy” creator Seth MacFarlane to host the next Academy Awards doesn’t come out of left field as much as out of Quahog – which seemingly is about as far from Hollywood as you can get. The bold choice of MacFarlane, no doubt, is likely to rankle Hollywood old-school types ready to instantly dismiss the writer, animator and voice behind various offensive cartoon characters (Peter Griffin and Glenn Quagmire) and talking animals (Brian Griffin and Ted, the pot-puffing, profanity-spewing teddy bear) as unworthy of a key role previously handled to general acclaim by Bob Hope, Johnny Carson and Billy Crystal. Others likely will see the irreverent MacFarlane as a much-needed impudent infusion of youth – making up for the treacle-and-somnambulance-tainted blood transfusion that failed in 2011 when Anne Hathaway and James Franco succeeded only in draining more life out of the Oscars. But that’s just part of the point of exposing a worldwide audience to a live broadcast featuring the man who sang (in triplicate) about “The Freaking FCC”: With MacFarlane, viewers will get unpredictability, as well as a dose of both the new and the old. Perhaps the most legitimate knock on MacFarlane as an Oscars host is that his face isn’t familiar to international audiences. Still, there’s evidence his bawdy brand of humor enjoys wide appeal. Fox’ “Family Guy” has been broadcast – and banned – in many countries. More significantly, “Ted,” which pulled in more than $430 million, made nearly as much money abroad as in the U.S. The surprise summer success of “Ted” solidified MacFarlane’s place as part of the popular culture his work satirizes – and, whether, Hollywood likes it or not, as a movie force. Meanwhile, “Family Guy,” which has weathered cancellation and controversy since its 1999 debut, is approaching its 200th episode – likely to air in the weeks before the Feb. 24 broadcast of the 85th Academy Awards on ABC. Whether you arrive at the Oscars by limousine, by Petercopter or simply by flipping on the TV, it’s a good bet you’ll leave on the wings of an over-the-top comic culture clash. We’ll see if Hollywood shares a sense of humor with the gang in Quahog and the rest of the world.